when disconnected from garbage disposal the dishwasher drains. when connected to garbage disposal the dishwasher does not drain. What the heck is goin’ on…. This is a classic case of what we professionals call Drain Portus Gooktivitis. That’s a little Latin lingo. Oh yeah, we professional Appliantologists know how to throw around lots of fancy words like that while on the job so we can impress the customer with our vast and esoteric wisdom. But, hey, that’s why we make the Big Money. 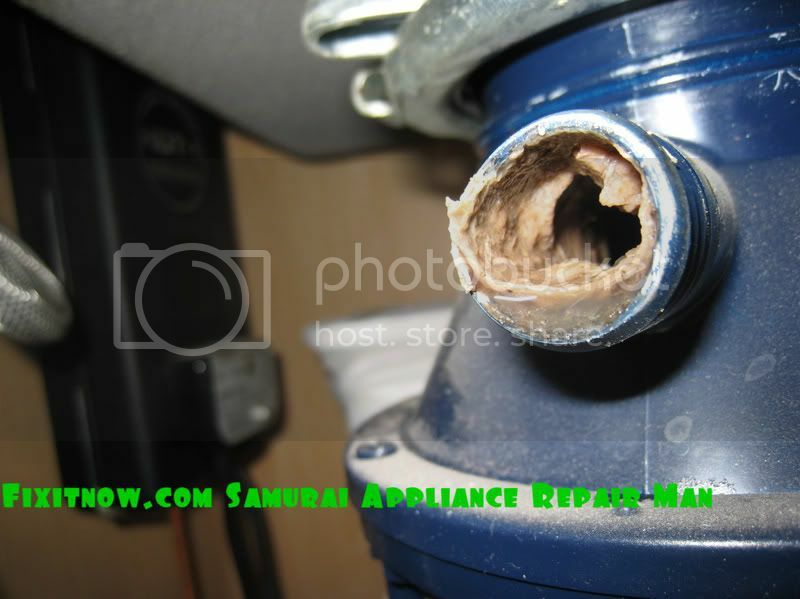 This entry was posted in Dishwasher Repair on March 9, 2004 by Samurai Appliance Repair Man.